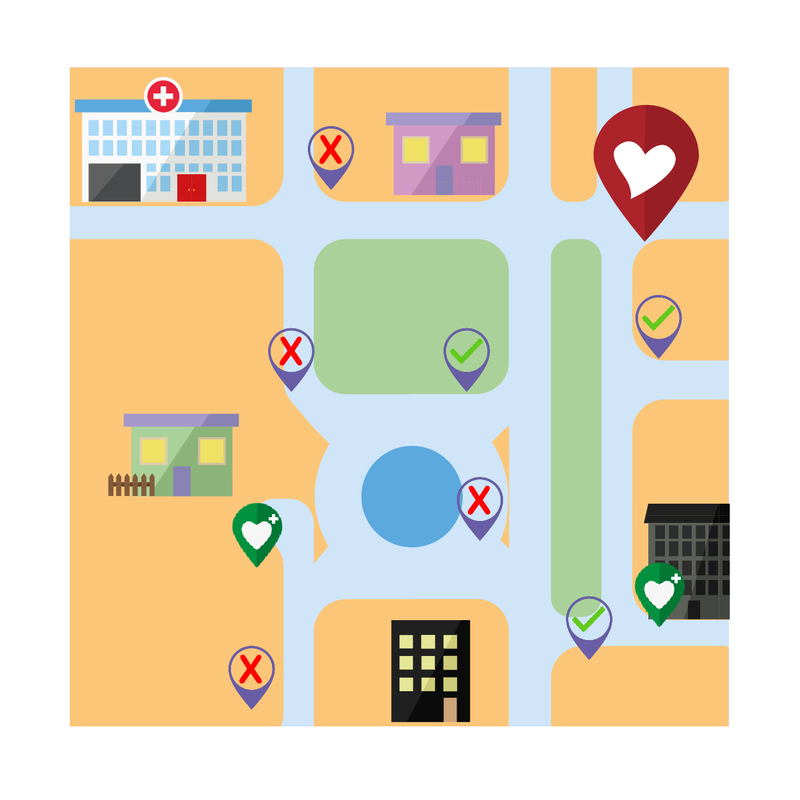 FirstAED is an intelligent system which integrates with the dispatch center CAD system, and automatically alerts Volunteer First Responders and CPR bystanders in case of cardiac arrests. It can be used by dispatch centers for managing both professional off-duty officers, Volunteer First Responders, and CPR trained bystanders needed in a number of different emergency. 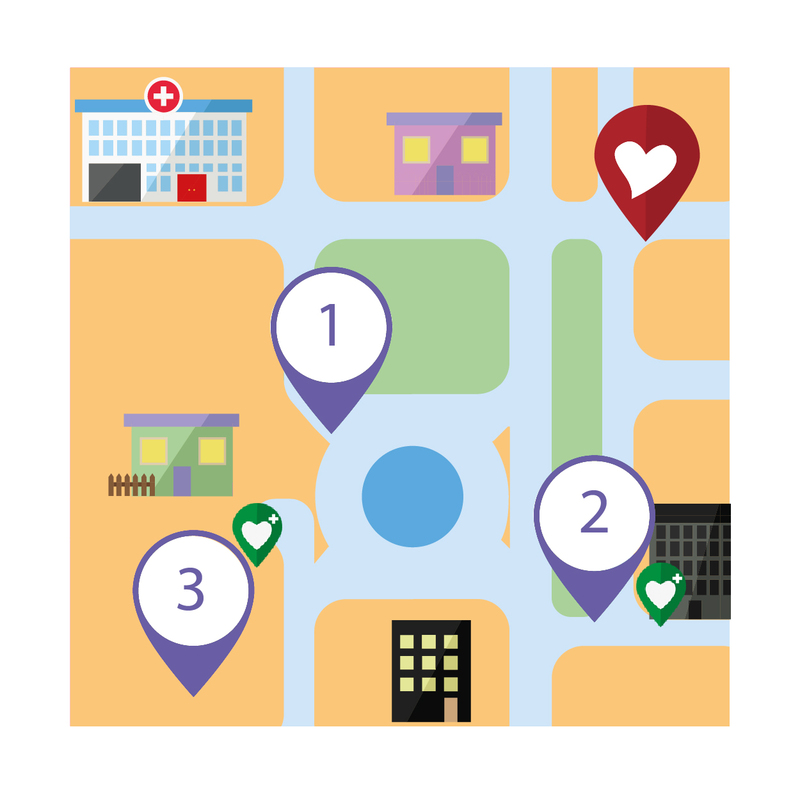 With FirstAED you can save lives and increase the sense of security in your community. Slide to see how it works! 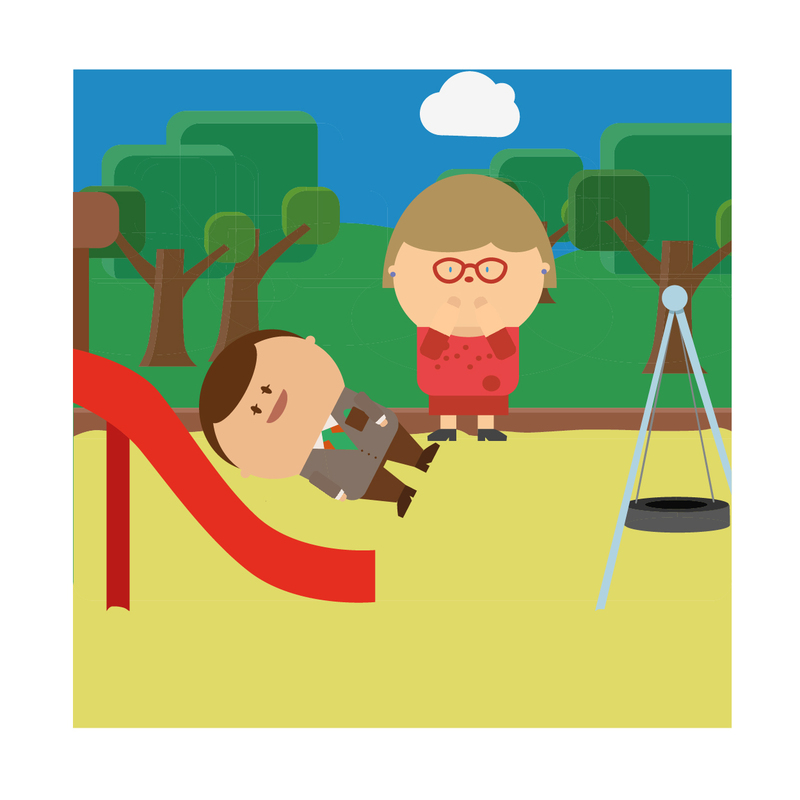 Cardiac arrest can happen to anyone, anywhere, and it can happen at any time. 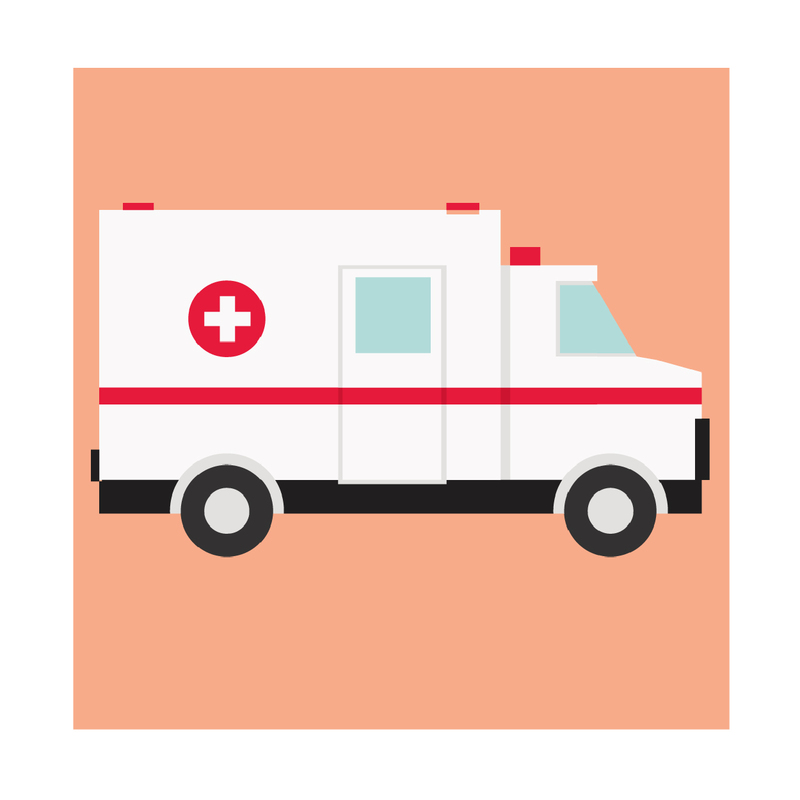 Ambulance response times are rarely below 5 minutes, so chances of survival are low. The FirstAED system is triggered automatically with the ambulances, without the dispatcher having to do anything. The nine closest Volunteer First Responders are located and alerted to them. alarm will receive instructions on the roles they have been assigned, the nearest AED, an overview of the position of the other responders and their contact information. are asked to fill in a case report on the smartphone. the same in your community. so chances of survival are low. Responders are located and alerted to them. other responders and their contact information. 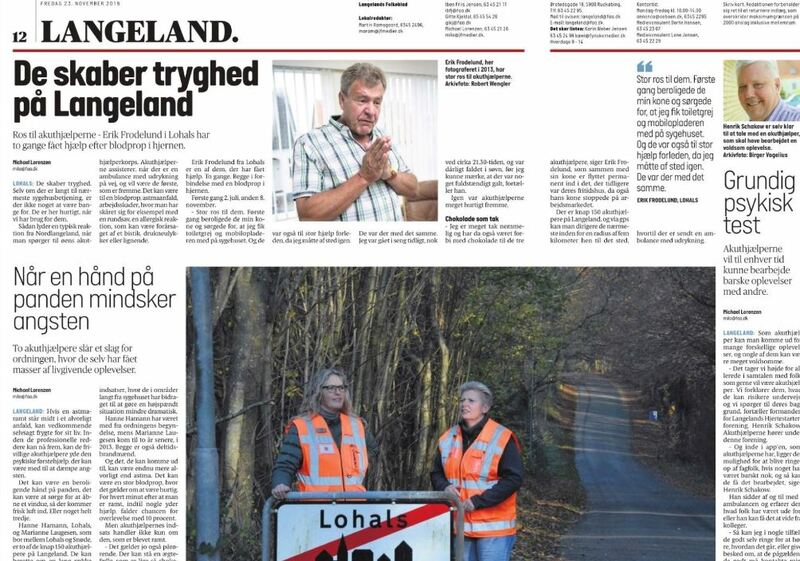 Langeland, a 52 km long island in the middle of Denmark, is often using FirstAED app because of the long distance to the nearest hospital (55 km). There are currently more than 200 trained volunteers standing by and AED’s always available at maximum 2 km away. Using the FirstAED technology since 2012, the response time for first volunteer first responders had been reduces with 50%. Check our reports on the lives we saved! 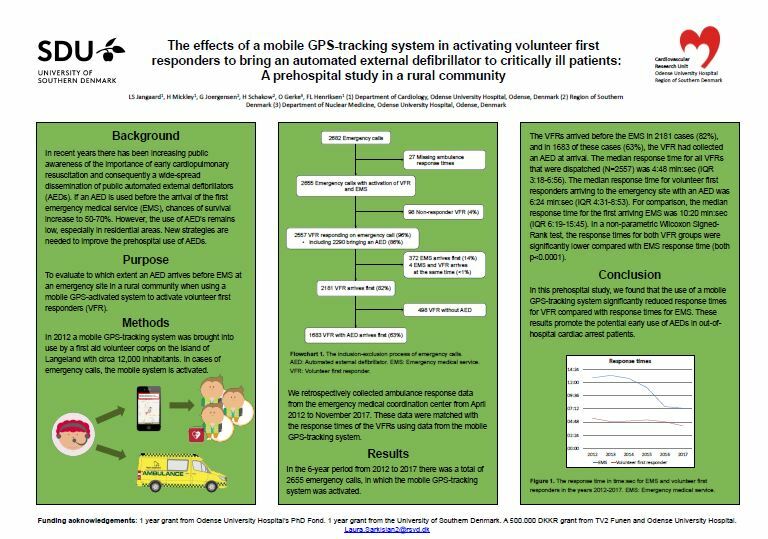 The effects of a mobile GPS-tracking system in activating volunteer first responders to bring an automated external defibrillator to critically ill patients. 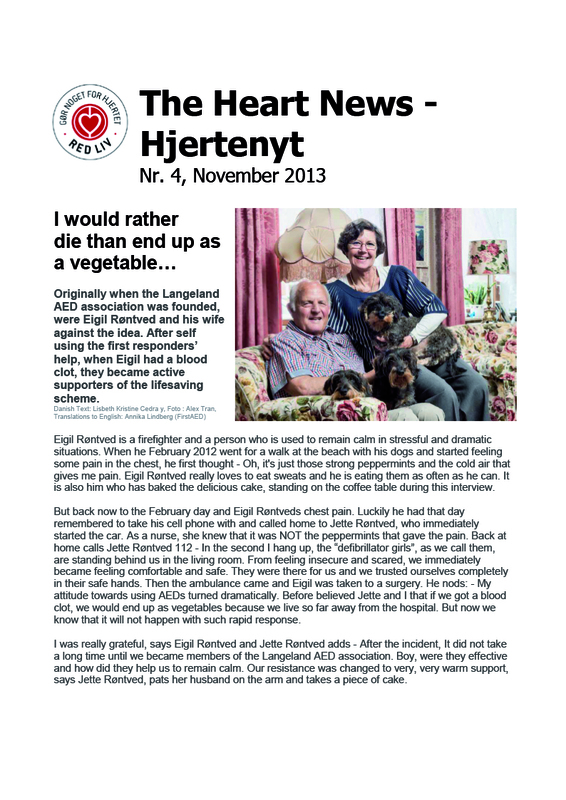 Praise to the emergency helper – Erik Frodelund in Lohals has twice received help after blood clots in the brain. 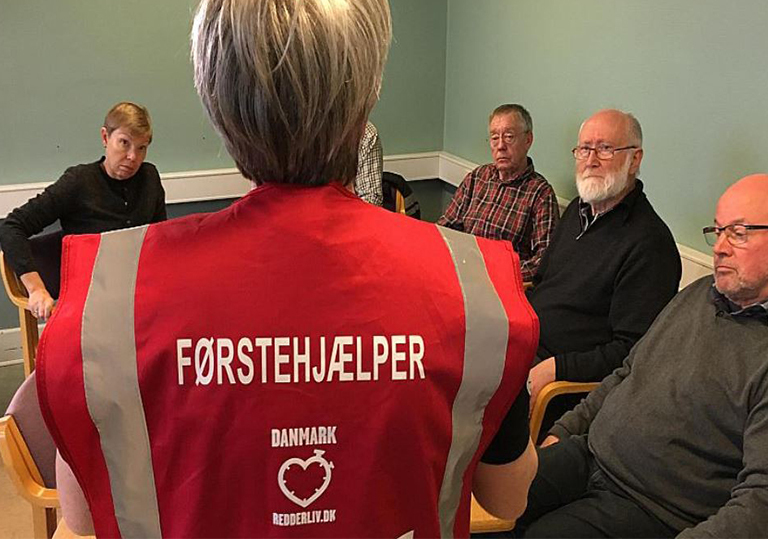 Example of project in Denmark where FirstAED is used as the Smartphone Alerting System. 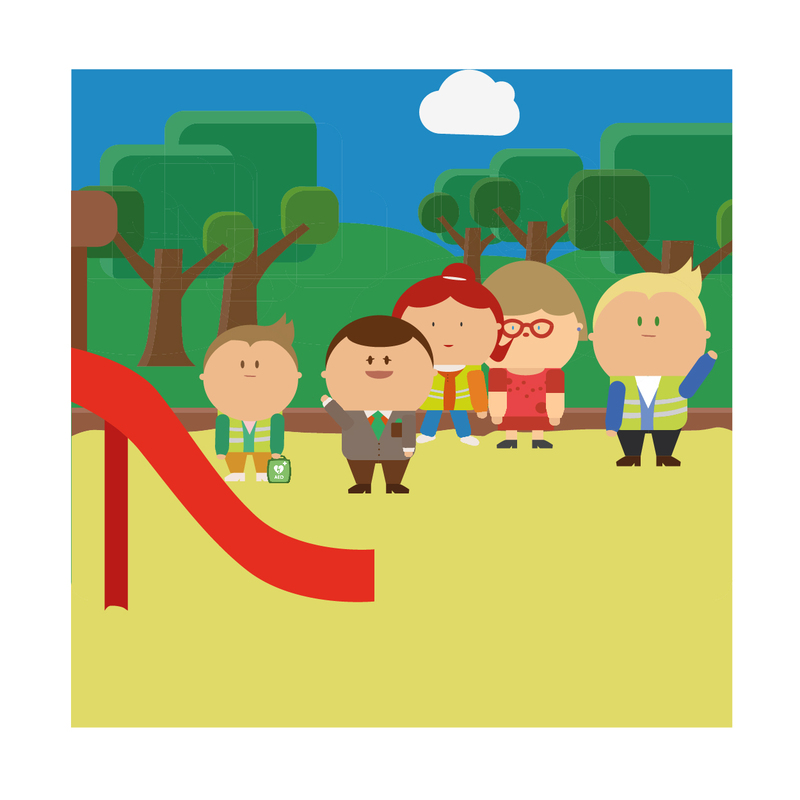 The project site is in Danish, but please contact us to hear more. 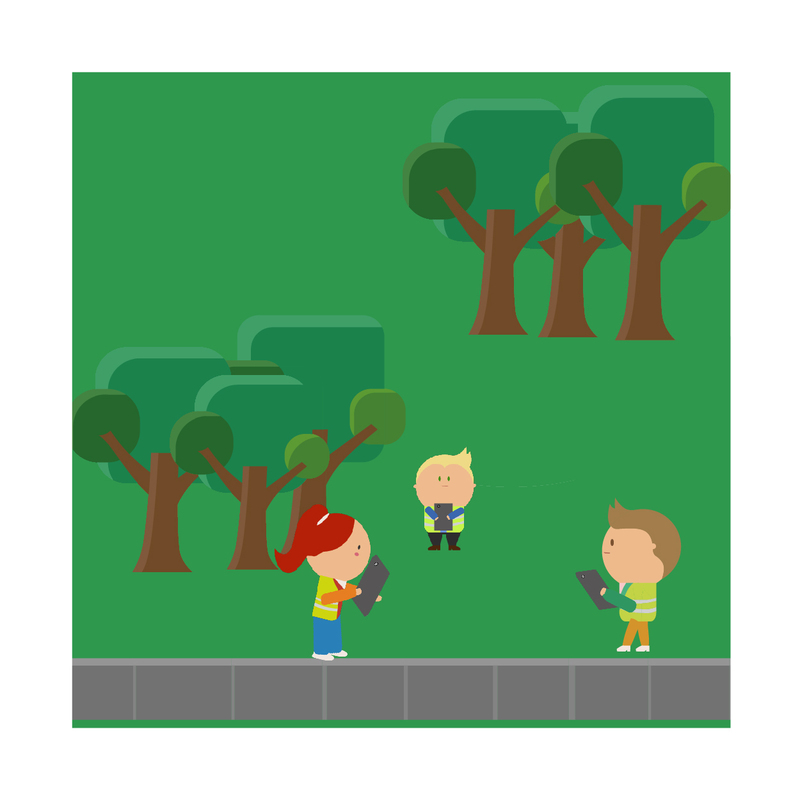 It is possible to adapt the branding and content of the project to your region. FirstAED is the perfect supplement to the existing emergency response systems. 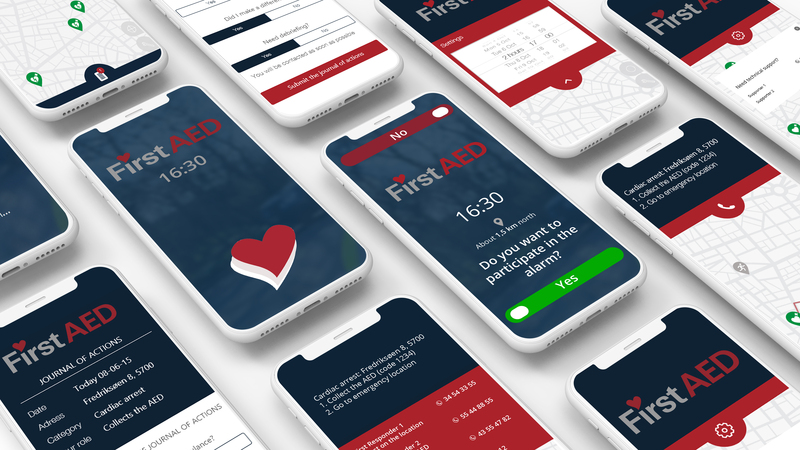 The application is based on practical experience from the Langeland AED Association project combined with the innovative and cutting edge smartphone technology. The system ensures faster response time and high quality in life-saving operations. For more informations or to get an offer please contact us.